Lurch to Far Right keeps Netanyahu in power, but for how long? Only weeks after Israel’s snap Knesset elections, the Likud party was bluntly reminded that winning the most seats does not guarantee an easy ride. It met its latest challenge with a series of coalition-saving deals with the HaBayit HaYehudi (Jewish Home) party, whose leader Naftali Bennett agreed to fill the seats left by the departure of his foreign minister, Avigdor Lieberman, head of the Yisrael Beiteinu (Israel Our Home) party. That brought the coalition’s seat count back to 61 out of 120, and headed off a potential election re-run. At the same time, it towed Benjamin Netanyahu’s fourth government further right than ever. Bennett was quick to capitalise on the opportunity provided by Lieberman’s withdrawal into opposition. He initially played hard to get, switched his phone to airplane mode and later pushed to secure the position of foreign minister for himself, to have Ayelet Shaked made justice minister and to put Uri Ariel at the head of the Settlement Division. Lieberman took his party elsewhere because of discontent at the perceived weakening of Netanyahu’s security policy, as well as his turnaround on the issue of conscription. Netanyahu is now seen as opportunistic rather than nationalistic – and his last-minute cave-in to Bennett’s demands will only reinforce that unflattering image. Lieberman’s exit from the coalition was seen as tantamount to political suicide and was clearly intended to bring Netanyahu down at the same time. It failed in that regard; Lieberman merely succeeded in forcing Netanyahu to beg for an alliance with those who hold him in disdain. And at the announcement on May 6, Bennett took a surprisingly positive stance, pledging to help lead Netanyahu’s term to a successful and natural conclusion with a government that is neither right, left nor centre, but for all the people of Israel. The new coalition may have met the deadline set by Israel’s president, Reuven Rivlin, but the path to its formation has not convinced everyone that it will last. Hastily cobbled together and rife with discord, this is a nightmarish right-wing patchwork that places contentious figures in even more controversial positions. Moshe Kahlon, whose Kulanu party holds ten seats, expressed doubt over the numbers: 61 seats make for a “bad government”, he said, and “after having signed the [coalition] agreement, I’m a little constrained”. Kahlon’s sense of constraint is not surprising: having acted as a kingmaker during the elections in March, the numbers bring his chances of passing reforms in the banking and housing sectors to near zero. Isaac Herzog, chairman of the opposition and head of the Zionist Union, also criticised the deal for Netanyahu’s lack of regard for the Israeli people, calling it a “fire sale” of government positions to save his own career. Even Netanyahu was equivocal, conceding that: “61 is a good number; 61-plus is an even better number. It begins with 61.” While he can hope – the Knesset speaker, Yuli Edelstein, said that Netanyahu could “make every effort later on” to sign up more partners – entering government to such stinging criticism shows just how shaky a hold on power the coalition has. Making his exit, Lieberman complained that the government was not right-wing enough. The appointment of Ayelet Shaked to the position of justice minister could remedy that, at the height of last year’s Gaza conflict, Shaked posted a status update on war, its meaning, its morality, and the impetus behind it. Ariel, meanwhile, stands in favour of the one-state solution and at the opening of the Leshem settlement in August 2013, stated that: “There are no two states west of the Jordan River, and there won’t be two states.” Later that month he confirmed the construction of 1,200 houses for settlers in East Jerusalem and the West Bank. The coalition’s crisis fits all too well into a general atmosphere of domestic turmoil. Just as the government was breaking up, an NGO, Breaking the Silence, released a report titled This is How We Fought in Gaza, comprising 100 testimonies of soldiers who served during the Gaza War. It details the policies and experiences of the soldiers, as well as the lack of clarity over the rules of engagement that resulted in “a policy of indiscriminate fire”. 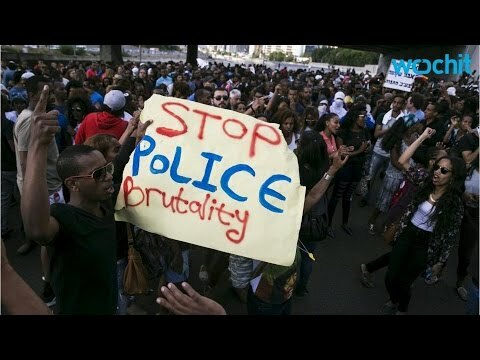 At the same time, anti-racism protests in Tel Aviv continued, as Israeli activists assembled against racial bigotry and discrimination in Israel, a continuation of earlier protests led by Ethiopian-Israeli citizens. Bennett himself visited the protesters and called for national soul searching, though for some, this comes too late. Despite that moment of clarity and apparent conciliation, the Netanyahu-Bennett coalition is struggling to paper over the cracks. The behaviour of Shaked, Ariel and Bennett could still bring Netanyahu’s newly begun term to an abrupt collapse, while the stability promised yet again still exists in words only. Luisa Gandolfo is Lecturer in Peace and Reconciliation at University of Aberdeen.